Did you know an average T-shirt uses 400 to 600 gallons of water to be produced? Or that a pair of jeans uses uses 1,800 gallons of water? Or that the fashion industry uses at least 1,600 chemicals during their dyeing processes? That the industry is the world’s second largest polluter, after oil, and what perhaps is the most shocking, is its impact — improbably high and far-reaching. The more you research about the way fashion is produced and consumed, the more alarming are the numbers and a concern for the environment. Sustainability in fashion is an issue that is increasingly becoming an important concern. One such initiative is by the Lakme Fashion Week, March 2019, that aims to introduce circular fashion as a concept aimed to reduce waste that goes into landfills and increase the lifespan, reusability and recyclability of the products created. It creates fashion just the way it is, however causing the least harm to the environment. As it honours eight fashion entrepreneurs from across the country, for their approach towards sustainable fashion, four of them, — Pozruh by Aiman Sabri, Bareek by Aman Singh, Lifaffa by Kanika Ahuja and Doodlage by Kriti Tula — talk about their design compositions and principles. Aman, who takes inspiration from beaches and the Basilican architecture in Goa, for his designs, says, “Some times there is a need of taking a step back in order to move forward.” He believes that the industry and its patrons are evolving, and people are consuming consciously. “We are becoming more aware of the textile industry and its impact on the environment. It’s high time we all started thinking before we buy or before we make,” says he. From recycling discarded fabrics from t-shirts, end of the line material from local scrap dealers, to reusing wires, waste bags as textures and patterns, with eco-friendly dyeing and printing, Aiman also uses waste cuttings from post production. She believes that using natural dyed organic cotton and handloom fabrics are the first steps to giving fashion an organic touch. The designer believes that packaging has a lot to do with organic fashion, and hence incorporates seed paper tags and recycled packaging for his collection. 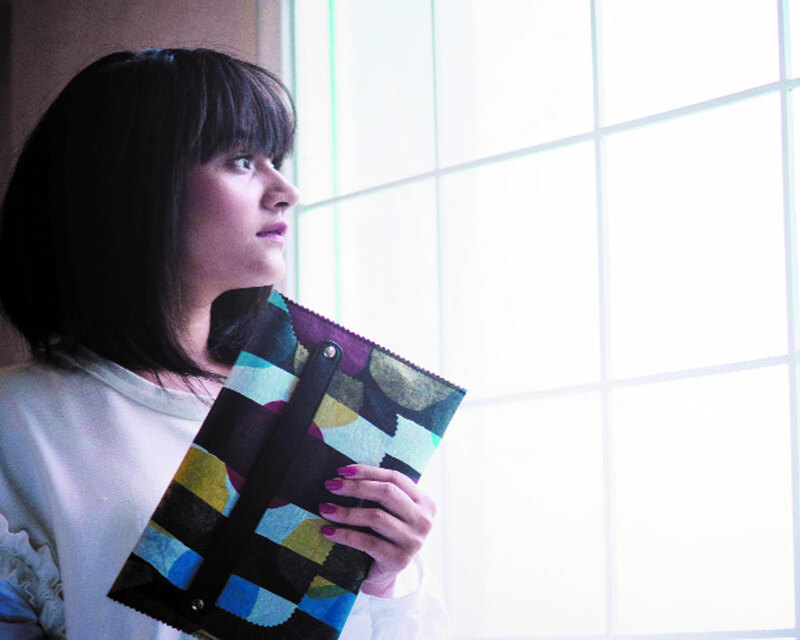 Owner of Doodlage, Kriti who started eight years back is usually inspired by the fabric itself while creating her collection. Taking the example of a young girl or a flower, all her designs and silhouettes have a hint of delicate lace. She points out that three key raw materials — cotton, nylon and polyester — make use of all extensive natural resources and are extremely polluting to the environment. She says that it’s mostly “factory waste” that she works with. “Mass-producing factories discard massive quantities of fabric to meet the need of fast-paced production. These are rejected for small weaving defects, stains, colour variations, post cutting and stitching waste and is also available as end-of-line fabrics. But there are a lot of resources that go into producing these fabrics even if the cost of fabrics is low enough. We explore ways to produce short feasible collections using this waste. It is used to make textures for our home and bags collection and the last bits are used to create paper which is used to make our constant collection,” she explains. She has also used recycled plastic fabrics, that she says accounts for 85 per cent of her collection. “It is the PET fabric and our own HRP fabric. We have also used woven jacquard from recycled textiles, crochet of recycled textiles thread and fabric made from hemp,” she informs. Who says organic doesn’t include style? The four designers have very different approaches when it comes to combining international style, Western silhouettes with Indian aesthetics of fashion. Kanika collaborates with a group of Afghani refugee women in India, who are skilled in traditional handicrafts. She says that through this they also try to build a new life for themselves and their children by launching a new brand called Akseer. “We have incorporated traditional Afghani embroidery in our designs to blend tradition while using futuristic materials to create sustainable fashion,” says she. While Aiman prefers handwork and embroidery techniques, for Aman, bringing together the best of Indian craft and local design influences, fusing it with classic silhouettes works best. As the Circular Design Challenge (CDC) saw 900 registrations from over 30 cities in India, the selection process has been a highly competitive one. Of the eight finalists, the awardee will be felicitated with Rs 20 lakh cash prize. The designers were required to incorporate circular components across the textile value chain in their design through the application of circular-design principles and demonstrate a positive impact on the environment and on society. They were evaluated and scored on usage of waste in their collection, fashion and aesthetic quotient, business viability/scalability, value chain and collaborations. Aiman, who has been a master in sustainable fashion, says that she has been in tune with the concept. For her, “it was not difficult to achieve the goal since my application was already aligned with her thoughts and the concept.” The award would mean the perfect boost for her label. Kanika, who is excited to be a part of the cohort of eight designers at the LFW, says that her vision had always been to bring sustainable materials to the forefront in contemporary and wearable designs. “To show that sustainable materials can be as mainstream and way cooler than traditional materials was what I dreamt of,” she says, adding that her vision has already been validated by being in the top eight shortlists. “If I win, it would bring the recycled fabrics that we have created to a global forefront. It would also mean a lot more investment that we can put into our R&D efforts to create more recycled and sustainable fabrics which we believe to be the future of fashion,” says she. Kriti also shares the same vision of making circular fashion “possible and more accessible.” She believes that such an award is a first-of-its-kind as it recognises the need for circular fashion and its impact.